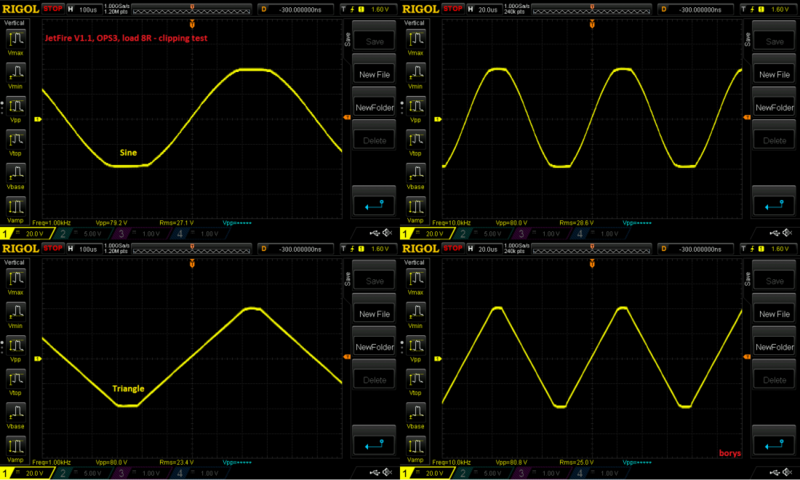 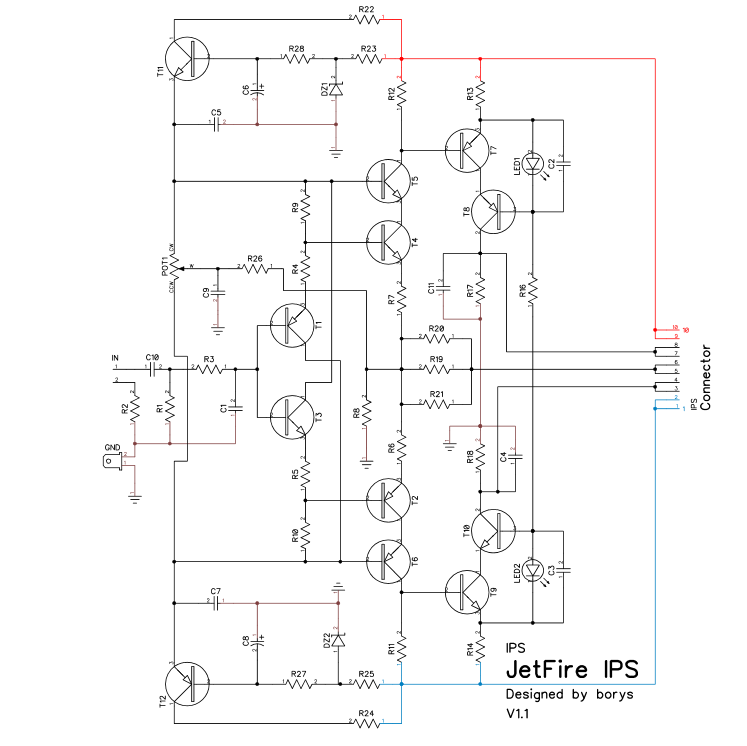 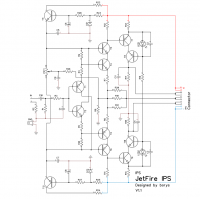 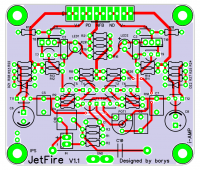 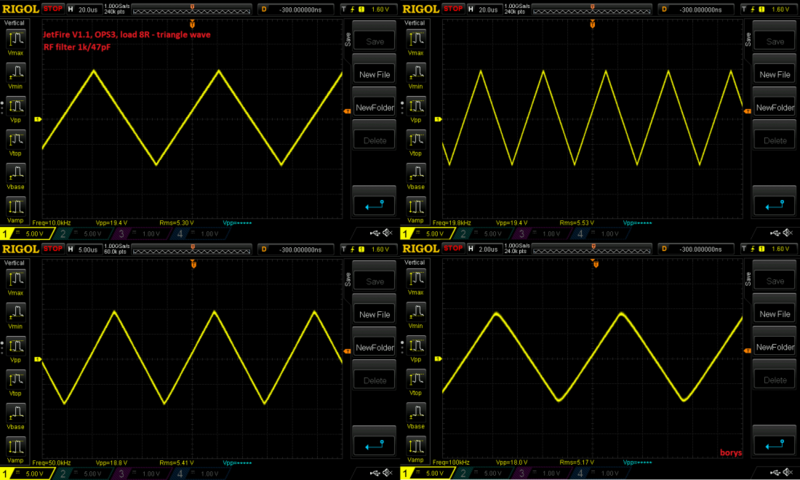 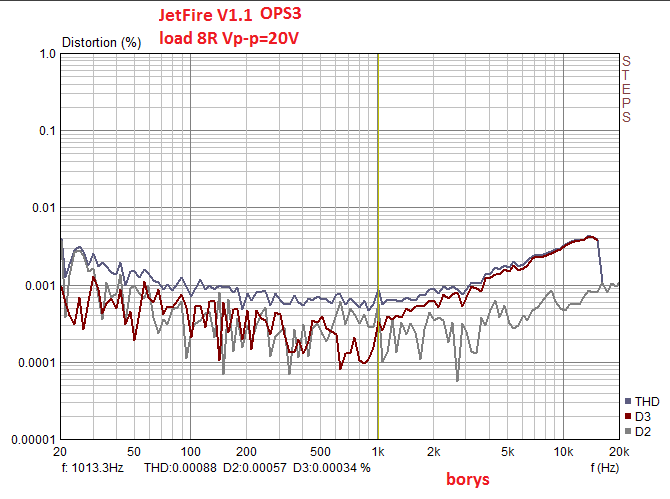 JetFire V1.1 - very simple CFA design, it looks like taken straight from the amplifier book. 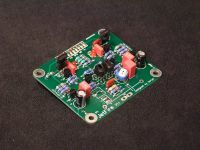 Heat losses are matched well enough at the input stage (NPN/PNP pairs at diamond input) so the DC servo is reduced to minimum number of components. 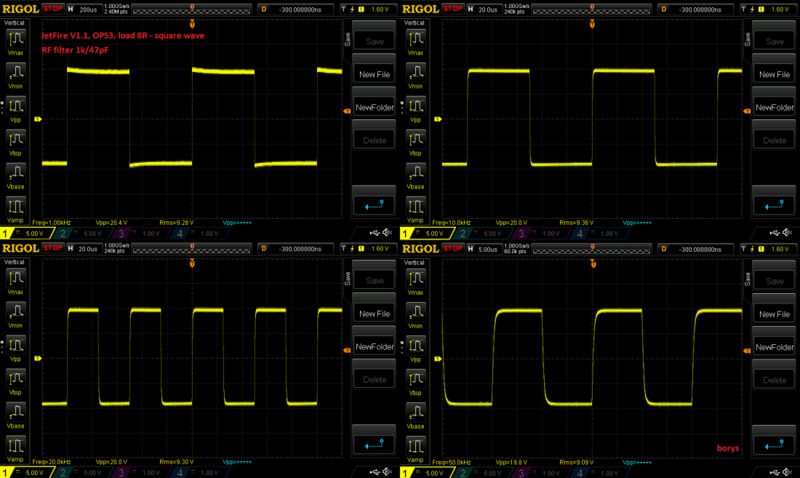 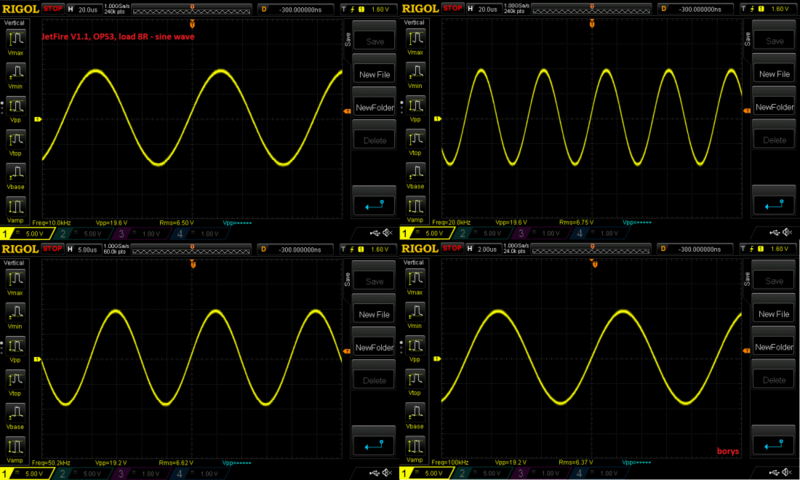 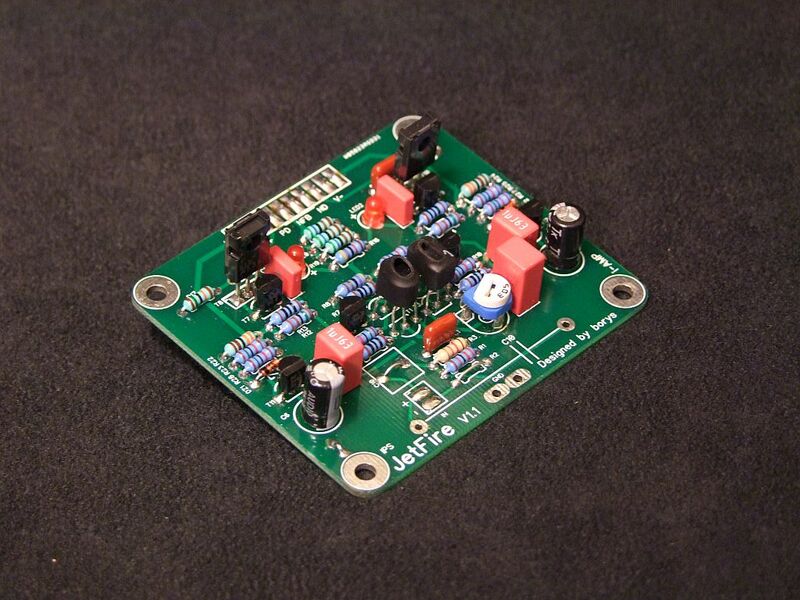 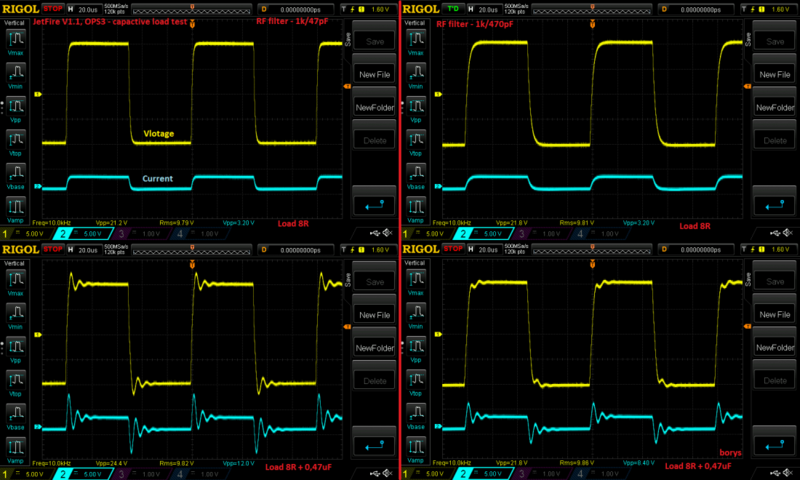 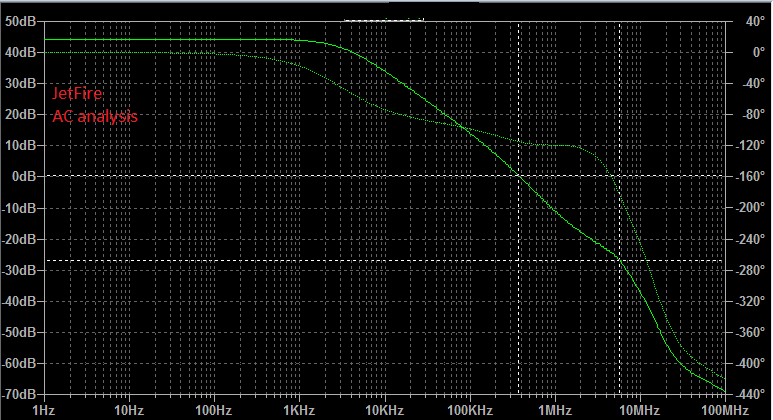 In practice DC drift at the amplifier output does not exceed 50mV with well matched input section. 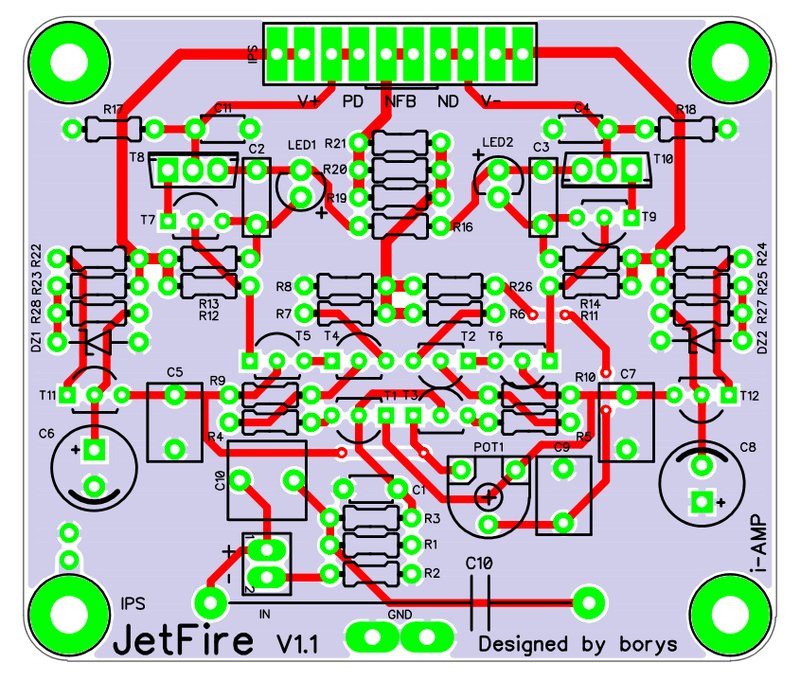 Current on demand makes CFA design very fast and furious, with small amount of compensation it can be extremely fast. 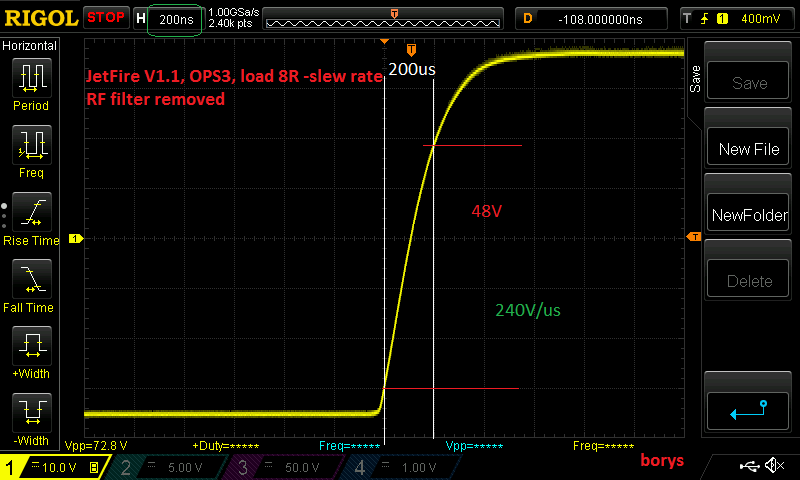 In this case with RF filter removed (do not try it at home) slew rate is approx 240V/us but there is a drawback too, with so high speed input diamond comes out of the class A operation (which we do not like) so the RF filter have to be determined to keep the input diamond in class A operation all the time, regardless very fast transients.